We provide our clients 20" parallel bar with taper. 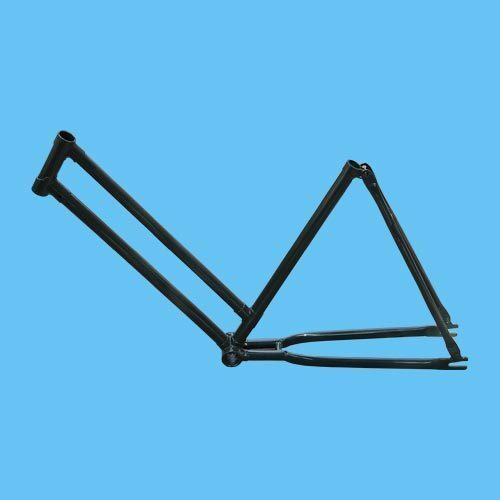 These Frames are made from good quality raw material.We are one of the well known companies that manufacture an extensive range of Cycle Frame all over the nations. These frames are of high quality and consist of sturdy construction. Our Companies (Aditragh Industries, N.R.G Enterprises (Unit I), Steel Craft, Rolex Metals Pvt. Ltd. & N.R.G Enterprises (Unit II) amongst the leading names engaged in manufacturing and supplying a wide range of Complete Bicycles, Bicycle Handles, Bicycle Forks, Bicycle Frames, Bicycle Rims, Bicycle B.B.Cups, Bicycle B.B. Axles, C.R. Coils & E.R.W Pipes.